Source: Netgalley/Dark Horse – I received this book in exchange for an honest review. I received no compensation. OH! MY! GOODNESS!! *inhales deeply* I’m so excited about this one and it’s so hard to focus on getting my thoughts down without rambling on about what actually goes on. 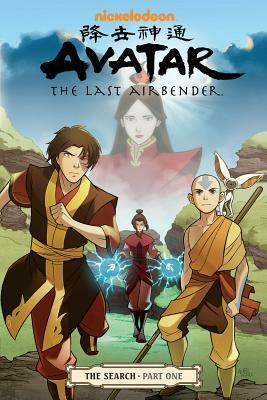 If you have watched and enjoyed Avatar: The Last Airbender then this is the graphic novel you’ve been waiting for! Even if you don’t read graphic novels you’re going to want to read this three part series…trust me. I remember when the finale aired and then I slowly realized that, that was it. No more Aang on tv, no more Zuko…and I still had questions. The question that was sitting at the top of my list (and many others) was ‘”what happened to Zuko’s mom?” We only see her about three or four times, and yet she was such a vital part of Zuko’s story but she was never brought back into the show. Now we are finally going to get the answer we’ve been waiting for, and if this volume is any clue to how the erst will be we are going to find out much more than we had hoped for. All of our favorites are back! Aang and the gang (minus Toph), plus one very crazy firebending princess. Yep! We get to see the gang hang out with Azula, and if you thought she was damaged before you are in for a treat. Zuko is on a quest to find his mother and he needs Azula’s help to find her. We get to see more about their personal relationship (without the prospect of war) and we get to see how their mother’s disappearance has affected them. As an added bonus we get to find out more about Ursa (Zuko’s mom), like where is she from and how she met Ozai. It’s utterly fantastic! I blazed through this one in less than 20 minutes because I just had to know what was going to happen. Of course it’s only part one so we don’t get to see a ton but what they do give us is enough to keep you hungry for more until the next part comes out in June. The conversations are spot-on, the humor is present, and all the personalities are accounted for. The Avatar graphic novels are very good about this as they are generally very well written, just like the show. The art is also wonderful and very consistent, it’s not the exact same as the show but it’s very close. I personally feel like this is an absolute must for any die-hard Avatar fan. This is an insta-buy for me, because even though I’ve already read it, I feel like this is something I’d love to read again and also share with my friends. 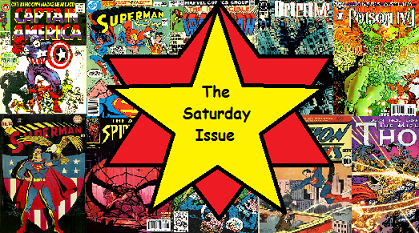 This entry was posted in Book Reviews (2013) and tagged 5 stars, graphic novel, review, saturday issue. Bookmark the permalink. Okay, I have all the series on disc and loved it. I watched it with my son, even when he wasn’t there if you know what I mean. This new series of comics or graphic novels (sorry don’t know the difference) is very exciting to me.